Desktop version of Money Manager Ex runs on all the major OS's, like Windows, MacOS, and Linux. 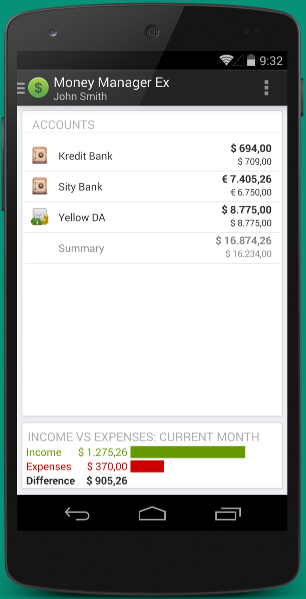 Money Manager Ex for Android is a port of the desktop personal finance application Money Manager Ex, currently available for Windows, Mac OSX and Linux. The Android versiown mirrors the best features of the desktop version, while adding mobility and the database synchronization. In Money Manager Ex project, we strive to develop a good personal finance software that we use ourselves. We also do this for fun and the love of programming. 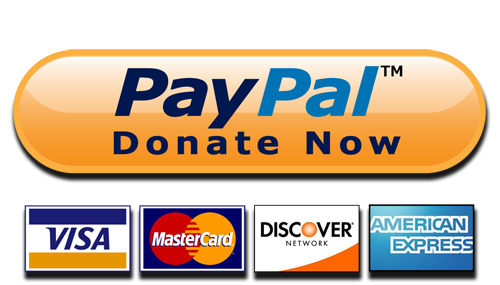 We are a non-profit, informal organization although we do accept donations and use them towards the hosting fees. Any leftovers for the Android version will also go towards acquiring a device for the app testing. The app versions are listed on our Milestones page. The published releases are available at our Releases page. To test run the application in your browser, please click here or on the phone screenshot at the top, if visible. See our Wiki pages for documentation and tutorials. A User Manual is a useful guide for newcomers and experienced users alike. You can also download the historical releases from our Releases page. All the feature requests can be tracked at our issue tracker on GitHub. . Opening databases by using storage access framework, allowing you to pick your favourite storage provider, whether cloud or local. Multiple accounts and account types, currencies, and languages. and more... Click to see our list and/or submit a feature request or a bug report. Follow us on for the latest announcements. In special situations, you can reach us by email: android@moneymanagerex.org. Please note that we do not provide support via email due to the voluntary nature of the project, fairly small number of project members, and a large number of end users. You can request from other users in the Android section of the Money Manager Ex Support Forum. The key to the success of the project are the users' contributions. There are several ways you can leave your mark. Being an Open Source project, we welcome any contribution in coding features and corrections. You are welcome to join the project and submit pull requests. Simply clone the repository on GitHub and start hacking away. If you (still) believe that coding is not for you, please watch this inspirational video. It might change your mind. 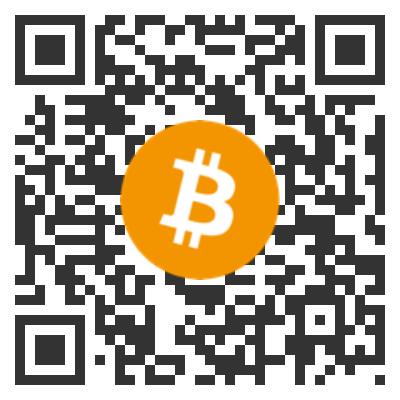 If you want to join our translation team, visit MoneyManagerEx for Android on . You can also contribute to the documentation at the Wiki pages and User Documentation by writing description of the app screens and providing screenshots. To edit wiki pages offline, please see the instructions. You can assist less experienced users by providing helpful answers in the Android section of the MMEX support forums. Your assistance with testing the pre-release (Beta) versions of the app is highly appreciated. This way you can directly help the project and ensure that the stable releases are bulletproof. Should you want to try out the latest version of Money Manager Ex for Android, you can access through F-Droid. Just enable pre-release versions and they will be listed in the version history but will not be offered as regular app updates. This allows easy reverting to previous versions should something go wrong. The source code is published under GPL license . Even though we provide the source code for free, under the GPL License, we have lived to see the first copyright infringement and plagiarism case. More details here.